Cyclists: Now that summer is upon us and the chilly winds of winter are gone for at least a few months, more people are taking their fitness and recreational activities outside. 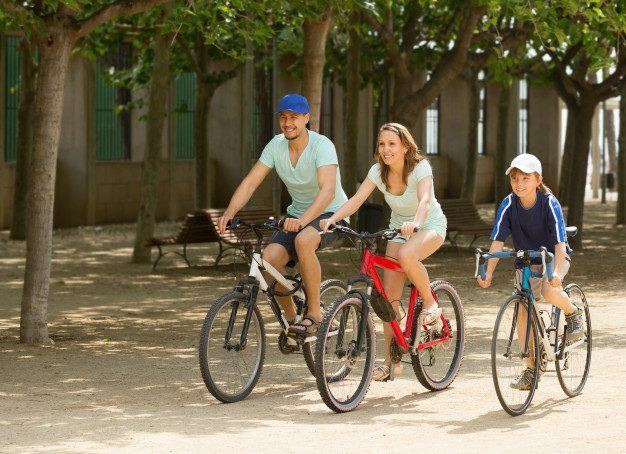 Cycling is popular activity that fits both bills. It is a great way to unwind and enjoy the great outdoors, but it is also an excellent form of exercise. 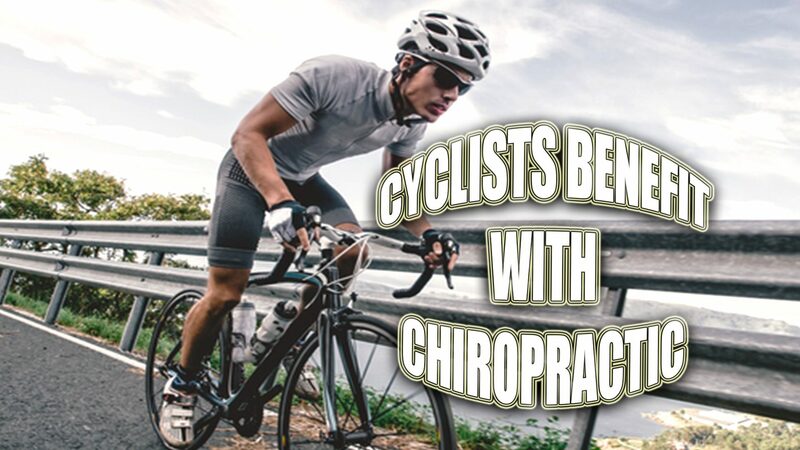 Chiropractic provides excellent benefits for the cycler, whether you hit the trails on the weekend, incorporate cycling as part of your fitness regimen, or commute to work on your bike every day. In short, chiropractic can help make you a better cyclist and help you get the most out of your cycling. It will help keep your body aligned and balanced physically, but it also treats the whole body. That means that your chiropractor will also make nutritional recommendations and even recommend various supplements if necessary. This will give your energy a boost and improve your performance, while helping you stay healthy and fit. This is how chiropractic helps you have more stamina and endurance. As with any type of physical activity, there is always a chance that injuries will occur. Chiropractic helps keep your body balanced and improves your flexibility. This, in turn, decreases your chance for injury. However, if you are injured, chiropractic can help you recover and heal much faster. You start with a healthy, balanced body through regular chiropractic care, and that helps you bounce back faster if you sustain an injury. Chiropractic care can also be used to treat injuries. Cycling can cause pain and injury in the ligaments, muscles, knees, ankles, hips, hands, wrists, feet, neck, back, and shoulders. Regular adjustments can help decrease the likelihood of pain in these areas, but sometimes the soreness can creep in anyway. When that happens, chiropractic treatments have been shown to be very effective in treating pain without pain medication and associated harmful side effects. Spinal alignment is one of the most common chiropractic techniques, but it goes much farther than that. Adjustments to the legs and feet can help with ankle, knee, hip, and foot pain. Adjustments to the arms and shoulders can help relieve pain in those areas. Special attention to the joints help keep them flexible and functioning as they should. Chiropractic is completely natural and does not rely on invasive treatments or surgeries. It does not use medications of any kind. It uses nutrition and supplements that rely on the body’s natural ability to heal. It simply realigns the body so that the neural pathways are unobstructed. This allows blood flow to be more efficient and reach the organs much easier. Chiropractic involves gentle spinal manipulations that realign the body and restore movement in the joints as well as muscle trigger points and soft tissue. It may include electrical muscular current therapies, massage, cold laser therapy, ultrasonic waves, and other therapies in addition to the spinal manipulations. A chiropractic patient may be advised to rest, ice an area, elevate it, or be given specific exercises to work that area. Chiropractic is not a rote therapy as many traditional medical practices tend to be. It adjusts to each patient, taking into account their unique lifestyle, activity level, nutritional needs, and other elements that influence that particular patient’s healing process. Chiropractic sees each patient as individual and treat them as such. This is what makes it such an effective treatment for cyclists. The benefits it offers them can not only keep them pain free and participating in their activity; it can also make them better at it.